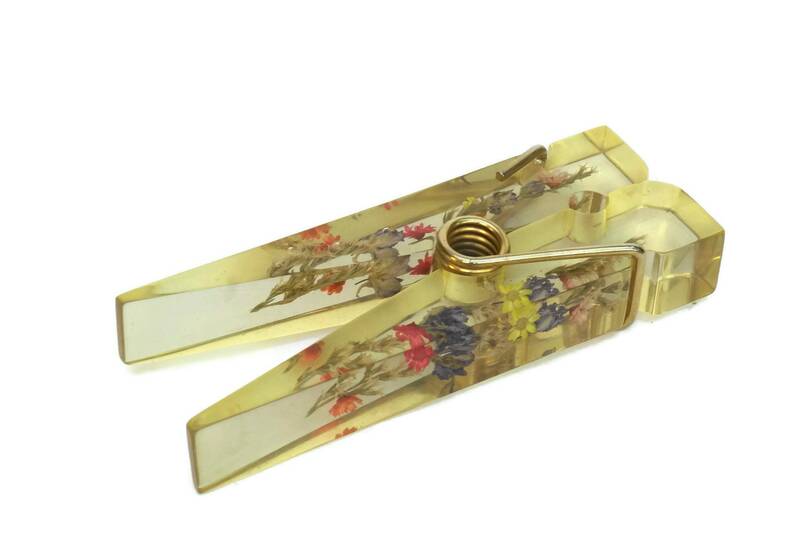 Giant Resin Inclusion Clothes Pin Paper Holder. 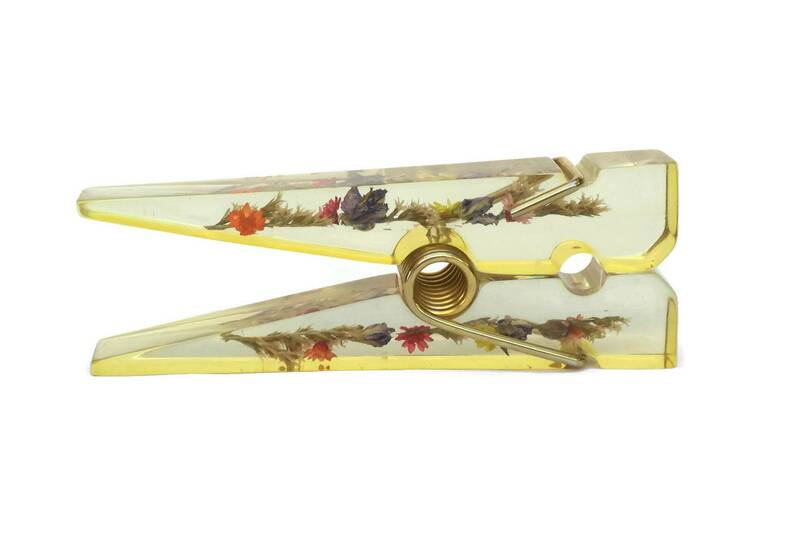 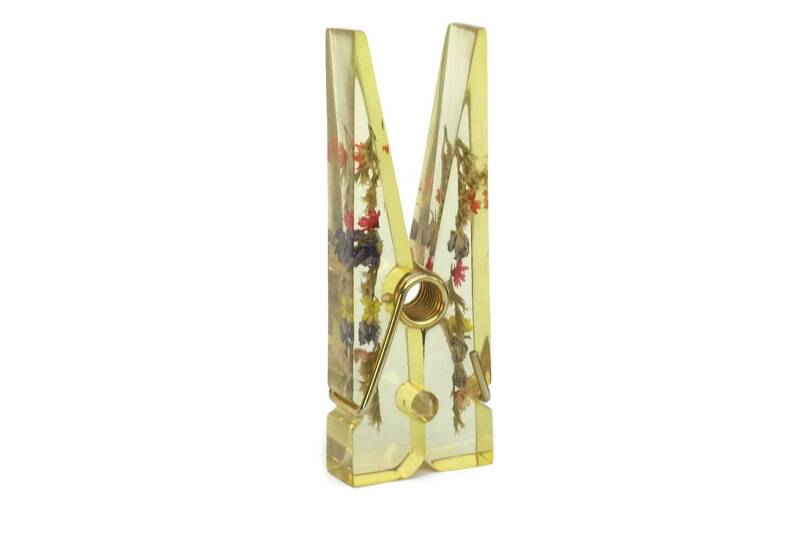 A giant resin clothes pin letter and paper holder with dried flower inclusions. 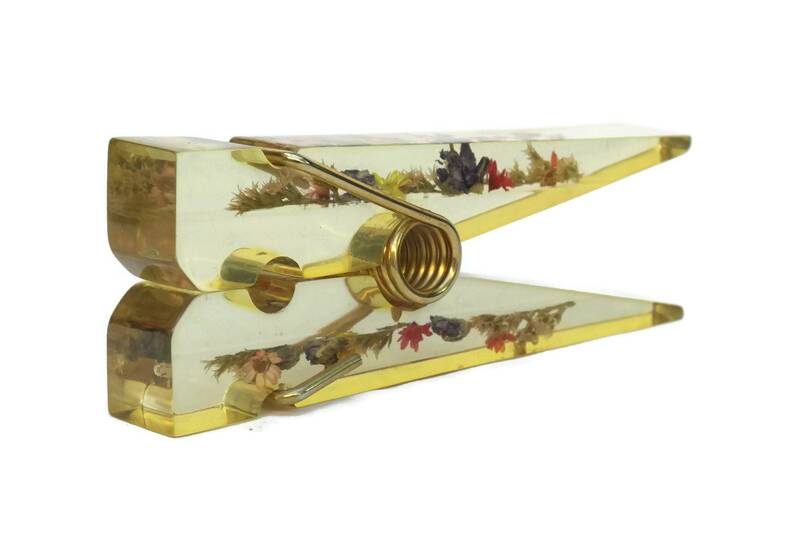 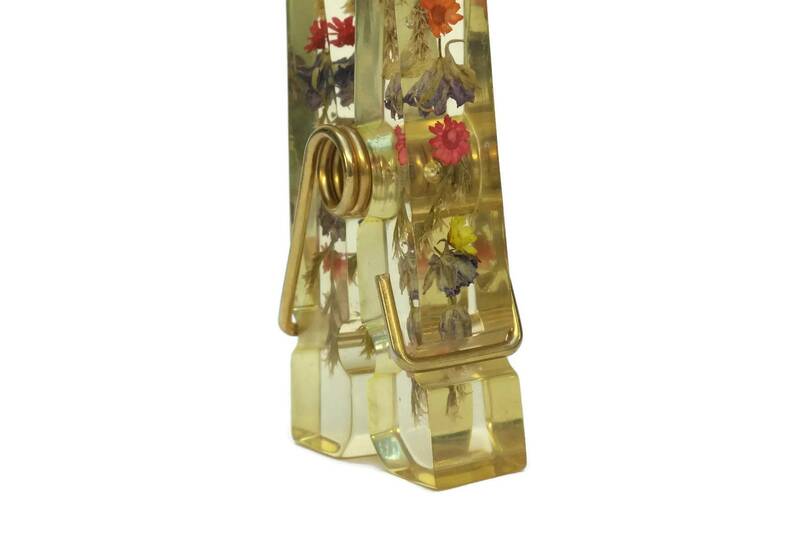 The large vintage mail & bill organizer dates from the 1970s and has been created from clear golden tone resin with colourful dry wild flowers in the interior. 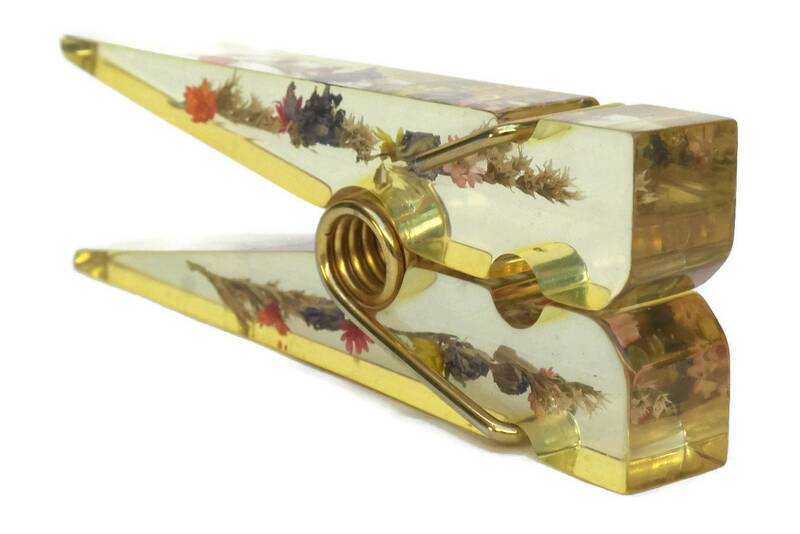 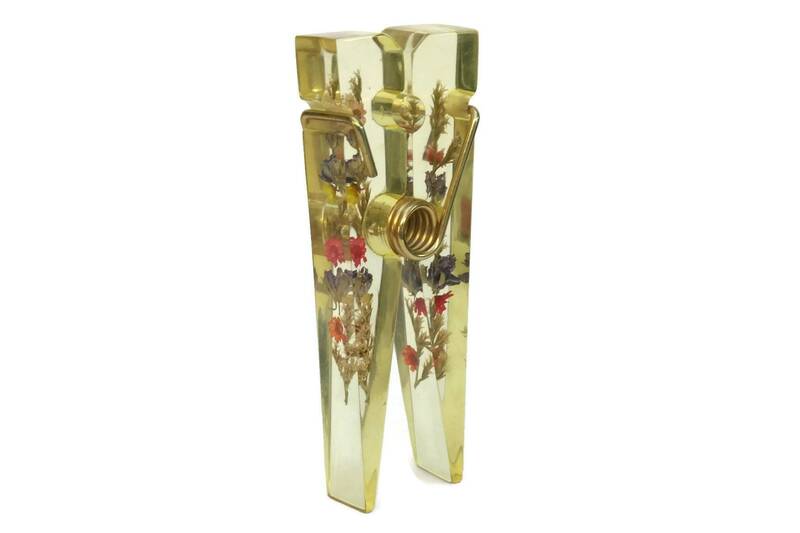 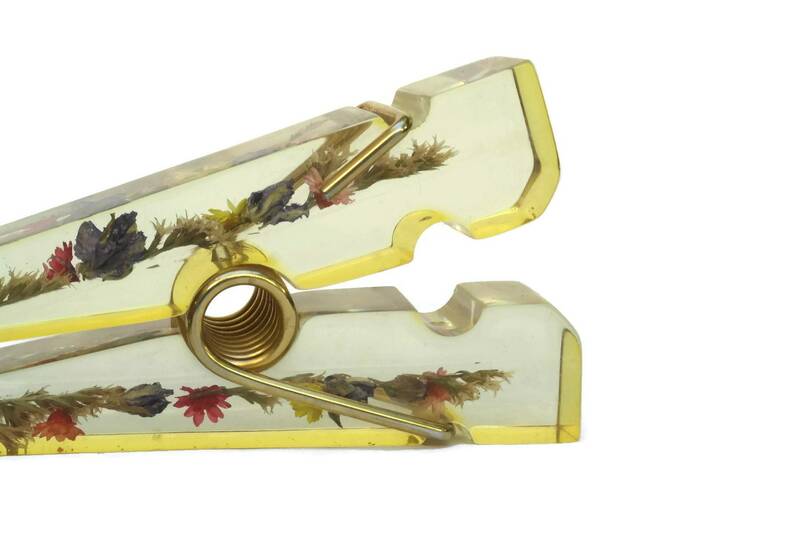 The two sections are held in place by a gilt metal spring clip. 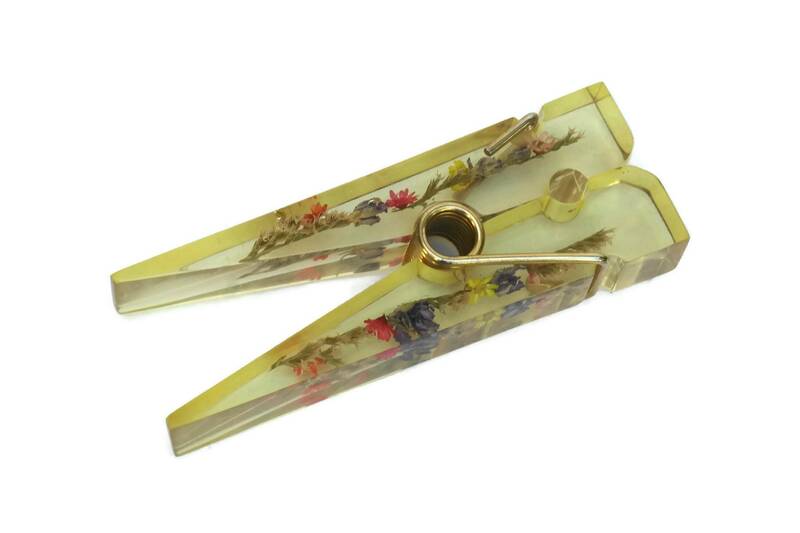 6.25" Long x 2 1/2" Wide (16 cm x 6,5 cm). 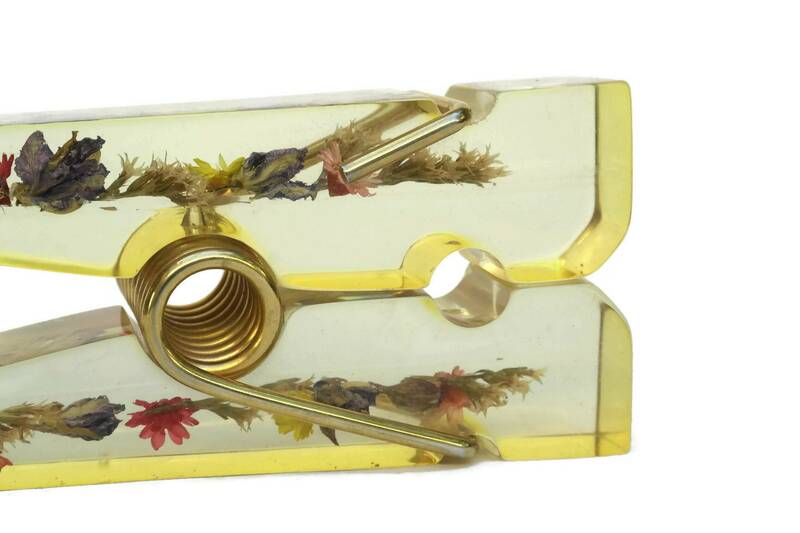 The letter holder is in good condition with light wear and patina to the metal.